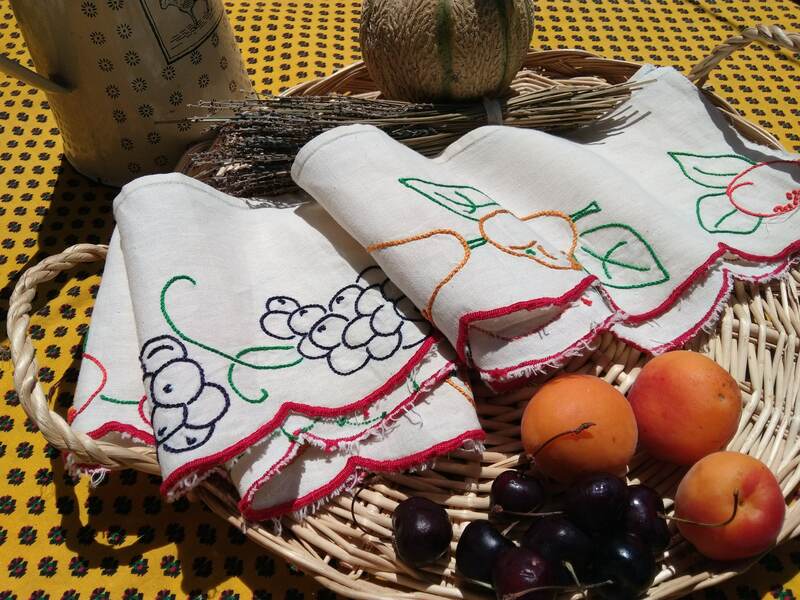 Natural linen French kitchen Café curtain or Shelf Edging with Fruits hand embroidered. 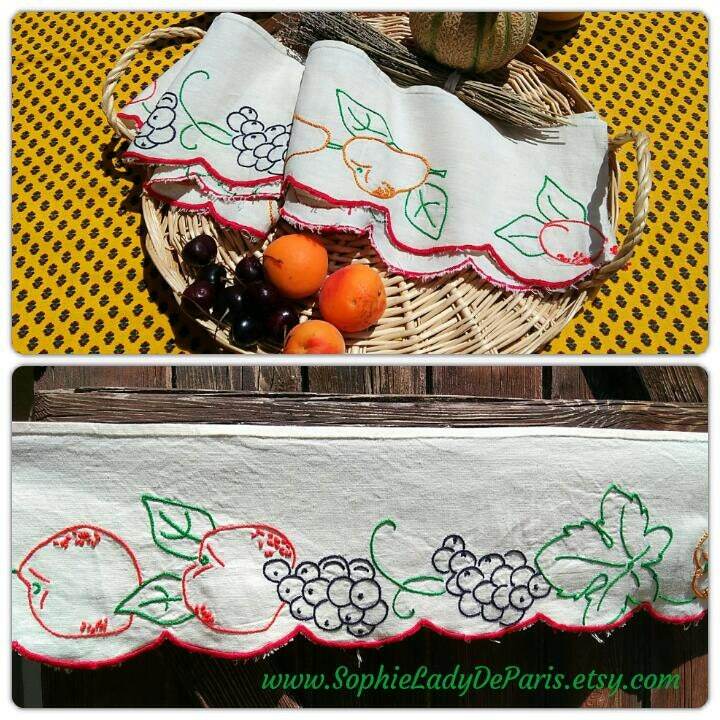 Red, Orange, Green, Navy Blue, red scalloped. 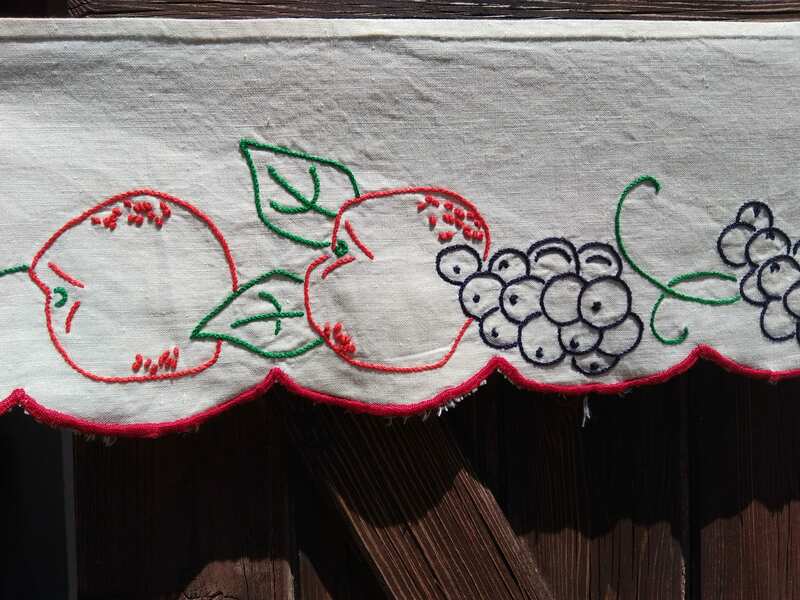 Original fruits design, apricot, cherry, grape, vine leaf, pear, etc..
Those linens used to be set above fire place or along shelf borders or windows. 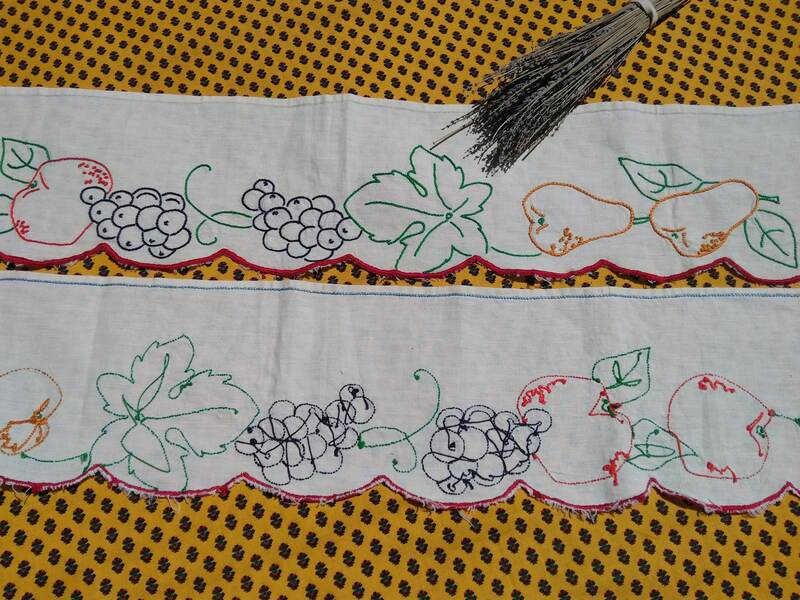 Unused Good Vintage condition , no side hem line done. 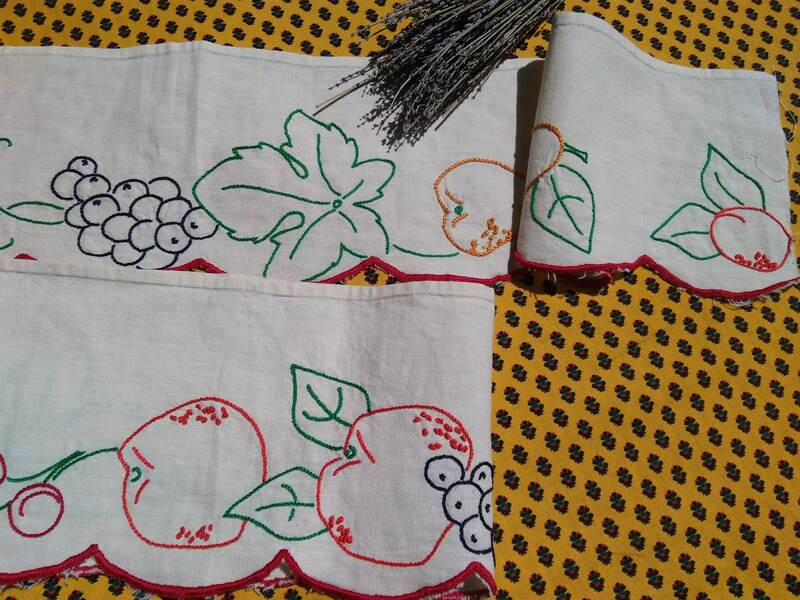 Beautiful original French linen Home Decor piece for window, shelf edge decor, kitchen etc... or sewing project.